Lives Less Ordinary: "Million dollar Mickey Mouse music"
"Million dollar Mickey Mouse music"
A year or so after I left university, I briefly joined a short-lived film music orchestra. 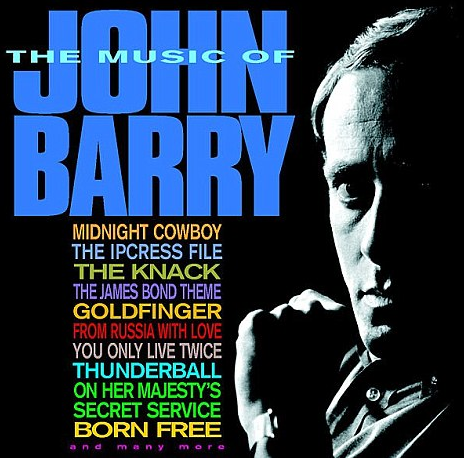 John Barry, along with the other John (Williams), was our God. I sat in front of the brass section and opposite the violins, both of whom had all the fun. But despite the dull cello parts, I’ve never had so much fun playing in an orchestra. I had shivers in every rehearsal, such was the emotional intensity of the music. Barry, who died last week, was the master of ear-splitting, striptease brass and soaring violins. He used both copiously in his 11 James Bond soundtracks. He was also a paid-up member of the impossibly glamorous 60s set, marrying Jane Birkin in 1965 (pictured above, tooling around in his E-Type Jaguar). “I was besotted,” she said in 2008. His razzle-dazzle 007 theme tunes mirrored perfectly the films’ outlandish plots and characters, most notably Goldfinger and Diamonds Are Forever. But many featured lush, elegant melodies, such as From Russia With Love, Moonraker and the gorgeous, cascading You Only Live Twice. Barry was a great experimenter, too: his sinister soundtrack for The Ipcress File featured a cimbalom, with its haunting, metallic jangle. In spite of his success – including five Oscars – he called his work “million dollar Mickey Mouse music”. Barry had his faults. He dodged the tax man and was banned from the UK for a spell. And he had a penchant for girls considerably younger than himself (Birkin was 19 to his 32 when they married), illustrated in this story told by his friend, Glenys Roberts. “John ... liked his women young,” writes Roberts. “I was on the same transatlantic flight as one of his girlfriends when she altered her date of birth on her passport with a bottle of duty-free vodka (which dissolves ink) and a fountain pen. You could do that before the days of barcodes and biometric passports. She thought that, given his track record, she would be more suitable for him if she was ten years younger.” Ah, the 60s.